It seems an obvious fact that galaxies formed through gravitational collapse. And we all know that quasars are powered by accretion onto supermassive black-holes. But perhaps not everyone knows whom we owe this knowledge to. Donald Lynden-Bell passed away in February 2018. Since the beginning of my studies I was intrigued by the notion of an early collapse that would explain why the Milky Way halo contains the most ancient stars and why the metal content increases towards the inner parts of galaxies. The monolithic collapse model of Donald has accompanied my thoughts until I was lucky enough to be part of a Club where I could dine in his company … In front of a rich chocolate pudding I remember a conversation where we shared the puzzling thinking that the biggest galaxies seem to be the oldest. How could we explain this? Did we need another Universe? Perhaps, but first we needed another chocolate … It was always a pleasure to dine in Donald’s company, his radiant optimism and open smile were illuminating the dining room as much as his articles have enlightened generations of astronomers …. As Ruth his wife says ‘Donald loved to attend the Club to be able to meet younger astronomers and see how the world was changing’ … He gave the impression to be happy, and this is how I want to remember him. 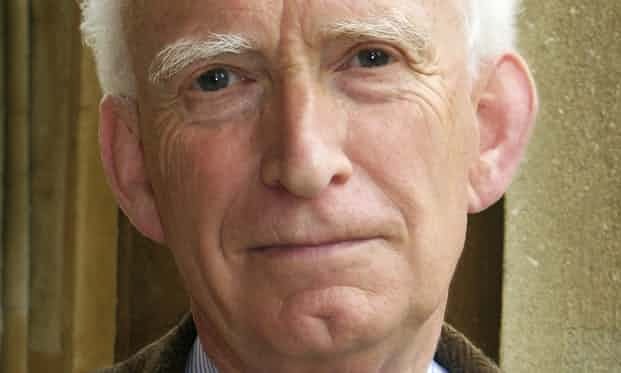 In admiration and memory of Professor Donald Lynden-Bell, Professor of Theoretical Astrophysics, Gold and Eddington Medal of the Royal Astronomical Society, Director of the Cambridge Institute of Astronomy, Member of the Seven Samurai, and more.